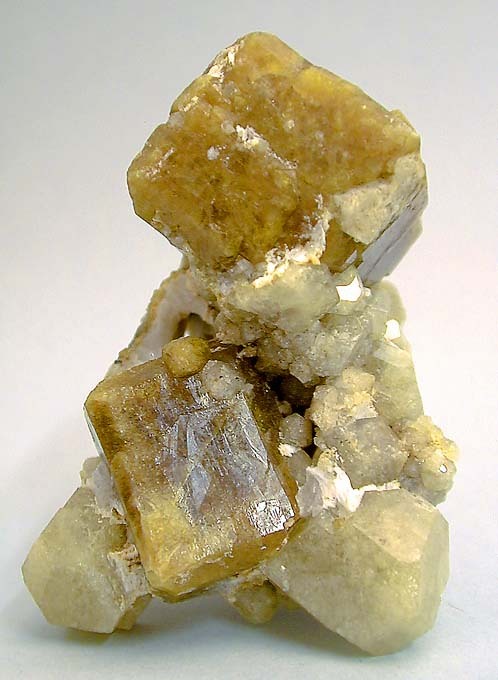 Comments: Blocky, tan-colored vesuvianite with white grossular (garnet). Location: Sierra de la Cruz, Lago Jaco, Coahuila, Mexico. Scale: 3.5 x 4.5 cm.